I realized this week that I've never shared my favorite french bread recipe on the blog, which is a shame because it's so perfect and tasty! Tonight we're having spinach quiche (and I'm even attempting a homemade crust a la these pasties), and I decided some french bread would be perfect to accompany it, so here we are. Dissolve sugar and yeast in the warm water. Then add salt, oil and 3 cups of flour and beat well. Add in 2 1/2 -3 more cups of flour. The dough should clean off the sides of the bowl and not be too sticky – but be careful not to add too much flour. Knead for a few minutes. Leave the dough in the mixer to rest for 10 minutes and then stir it down (turn on your mixer for 10 seconds) and then allow to rest another 10 minutes. Repeat for a total of 5 times. Then turn dough onto a floured surface and divide into two equal parts. Roll each part into a 9×13 rectangle. Roll dough up, starting from long edge of loaf to seal. Arrange seam side down on large baking sheet that’s been sprinkled with corn meal, allowing room for both loaves. Repeat with second part of dough. With a sharp knife, cut 3 gashes at an angle on the top of each. Cover lightly; allow to rise 30 minutes. Brush entire surface with egg wash (one egg beaten slightly with 1 Tbsp of water). If desired, sprinkle with sesame seeds. Bake for 30 minutes at 375 degrees. You can see that I'm such a rebel that I cut four slashes into the top of my loaves instead of three (I walk on the wild side). Other than that, I followed the recipe exactly! it looks so goooood! I want to try to make it, form the recipe, do you use fresh yeast, right? Yes! I would just mix it by hand, and then instead of turning on the stand mixer every ten minutes, I would just punch it down, reshape into a ball, then let it sit. Let me know how it works! Oh my goodness what a great idea I am going to do that with my second loaf as well! Very beautiful French loaf you have made. It is always good to make homemade bread! Thanks for this great recipe. This is my first French bread, I use my bread machine to knead the dough. It is easy to make, and taste so good. can I put all ingredients in breadmaker? I just made this and it turned out amazing! Thank you for the wonderful recipe!! 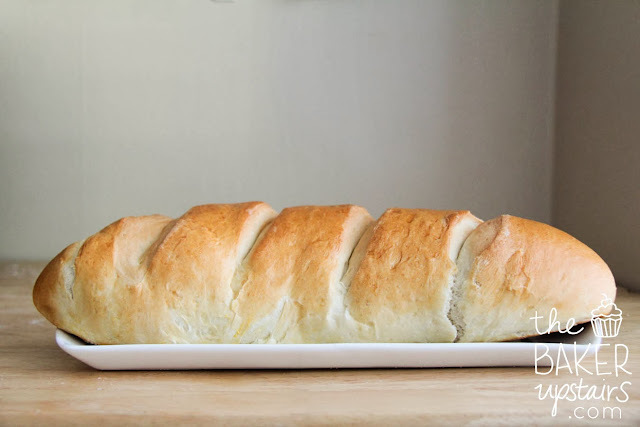 I don't usually post comments on recipes, but I really wanted you to know that I have used your recipe for French Bread at least 50 times and every time I make your bread everyone raves. 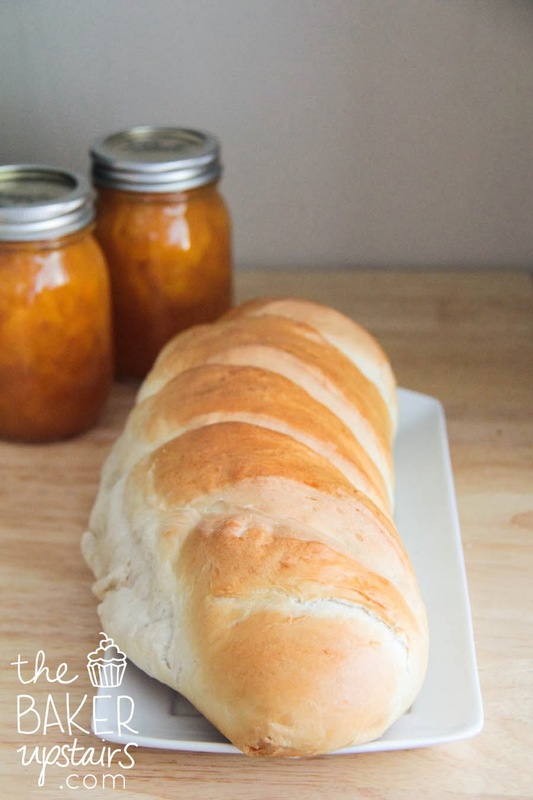 I can't knead bread like I use to because of arthritis and your method works so good for me. My Granddaughter absolutely loves it. So much so, I gave her two loaves for her birthday! LOL!!! Thanks again for posting such a good recipe! That is so nice to hear! Thanks so much for your comment! What kind of oil is to be used? I usually use olive oil but canola oil works too. Your recipe mentions T, is it teaspoon or tablespoon please? Sorry, I m a neubie. Have you tried making this with rapid-rise yeast? Since It allows you to skip the first rise, I'm wondering how to adapt it to your recipe. I'm very excited to try making this! I haven't tried that. I've never used rapid-rise yeast, so I couldn't give you any pointers. Good luck!